… and thereby support the Turtle Foundation. Anybody can register as a member of Turtle Foundation Friends irrespective of domicile or nationality. The membership can be terminated anytime. Apart from the payment of the annual membership fee (minimum EUR 25, CHF 30, USD 30) the members do not have any obligations. With your membership at Turtle Foundation Friends you are expressing your sympathy for sea turtles and for our efforts to protect them. With your membership fee you are contributing to secure the funding for the conservation projects of the Turtle Foundation. 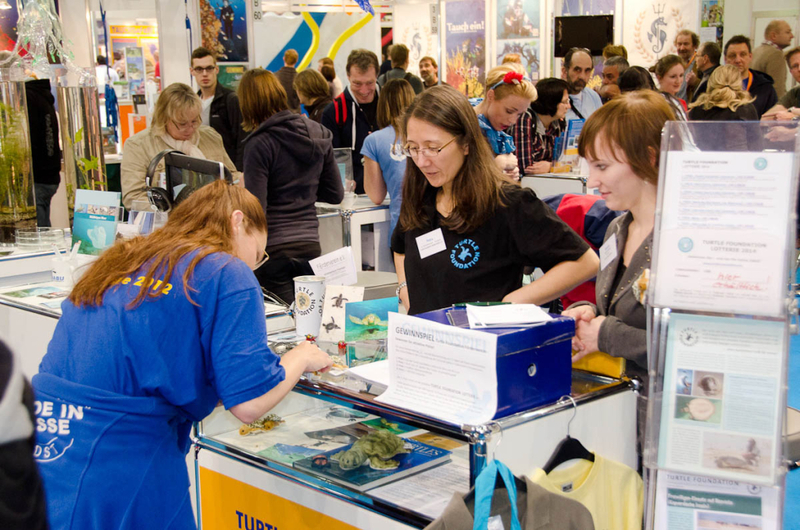 Turtle Foundation Friends has currently (as of December 2016) more than 150 members with their membership fees and donations currently generating an annual income of more than 6,000 Euros. This financial contribution is of great value for the projects of the Turtle Foundation, especially for providing quick and unbureaucratic help in emergency situations. Become a member of the Turtle Foundation family and make an important contribution to the rescue of sea turtles! You can co-decide for which protection measures and and project costs the funds of Turtle Foundation Friends are used. In addition, we are looking forward for everybody who is willing to volunteer, e. g. for running information booths in different cities in Germany and Switzerland. 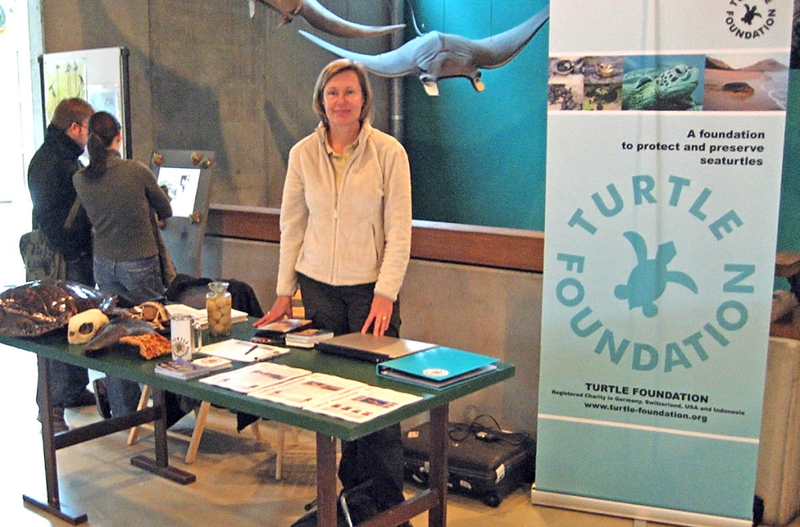 Turtle Foundation Friends is planning to expand its activity by increased participation in information events, fairs, and markets, which can be only afforded with the help of a growing community. Once you have submitted your membership registration we will send you an email with the options for paying the membership fee. 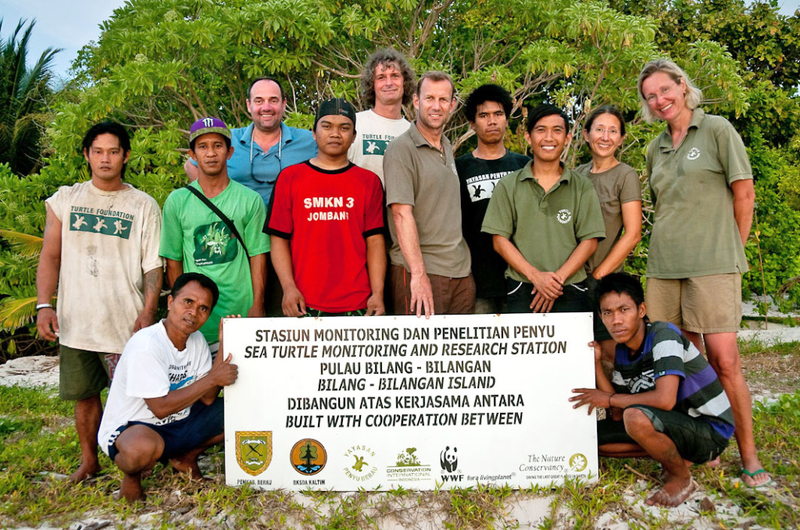 Ranger on the project island Bilang-Bilangan together with the board of Turtle Foundation Friends and the president of Turtle Foundation Germany (third from left). Board of TF Friends: Hiltrud Cordes (first from right), Petra Minnasch (second from right), Thorsten Hölser (fifth from right), Thomas Reischig (sixth from right).